According to THIS post (copied below) from the SCRAPBOOKS ETC magazine blog, there will be some changes coming to the magazine. If I’m understanding the announcement correctly, I’m not liking it. Why don’t we all read it together and then discuss, shall we? We’ve got big things in the works for the coming months. Here’s a press release on all of our exciting news! ORLANDO, FL (July 20, 2009)— Advertisers and industry professionals will get a sneak peek at Scrapbooks etc. magazine’s new look, a first-ever mobile scrapbooking application, and enhanced “etc.” content at a special event here on Tuesday, July 28, the first day of Craft & Hobby Association’s 3-day Summer Convention and Trade Show. The magazine’s enhancements, which hit newsstands on September 8, target the passionate scrapbooker as well as a broadening readership in a changing marketplace. “We’re beginning to see true scrapbookers grow their skills and interests in a way that broadens the definition of ‘scrapbooker.’ Therefore, along with exciting new features for traditional scrapbooking, the magazine has been updated to empower scrapbookers to put their passion, skills and tools to new uses—that’s the ‘etcetera’ in Scrapbooks etc. We are a gateway into everything that is scrapbooking, and everything it can be,” Rubin says. 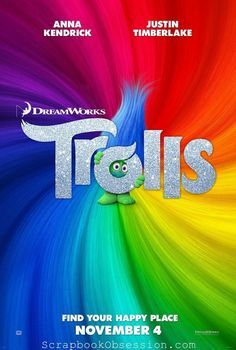 Redesigned cover: A new logo, tagline (create*share*remember), hallmark creative page designs from top designers, and prominent display of “etc.” projects are designed to add interest and promote newsstand sales. Updated features and departments: Distinct department pages call attention to helpful hints, designer tips and other insights; Dynamic feature layouts add energy and simplify navigation throughout the issue. Also unveiled today, a sneak peek of the first scrapbooking mobile application for use with Apple’s iPhone and iPod Touch devices, ScrapApp, created by Scrapbooks etc. ScrapApp provides consumers the ability to customize their Apple iPhones and iPod Touches with the hottest scrapbooking styles and gives insider scrapbooking inspiration, exclusive coupons and more. Consumers can download wallpapers from the hottest designers as well as make personalized mobile scrapbook pages. The July 28 CHA event will be highlighted on Scrapbooks etc.’s “I Scrap, U Scrap” blog on July 29, 2009 (scrapbooksetc.com/iscrap. THIS is the 2peas discussion, and HERE it is on AMR. I love to post these issues to my favorite message boards because I want to hear all the differing opinions. As you can see, there do seem to be two camps: Those that welcome the look at new crafts and those that want it to remain a scrapbooking-only magazine. I don’t think you’re surprised at what side I come down on. 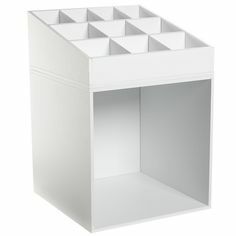 Hint: The blog is called SCRAPBOOK Obsession, not All Kinds of Papercrafty Obsession or Pencil Holder Obsession. Needless to say, I am not happy about this and think it’s the beginning of the end for this magazine. I’m not blaming Scrapbooks Etc. (SBE) for making this change, don’t get me wrong. I assume they’re in a position where they have no choice, or feel that they don’t. But just because I’m not blaming SBE doesn’t mean I can whine, complain, and say this whole thing blows, right? Sheesh. It’s my All American right to complain. So here I go…. 1. There are just 2 scrapbooking-only magazines left on the market (Creating Keepsakes and Scrapbooks Etc.). I’ve already endured the huge impact of (don’t shoot!) digital scrapbooking on these formerly paper-scrapbooking-only magazines. I have grinned and I have beared it. But now they want to take me down to, like, 1.5 scrapbooking-only magazines. I’m sorry but I’m gonna’ pout. 2. Remember when Memory Makers and Creating Keepsakes tried magazine makeovers? How’d that work out for ’em? 3. I know what’s done is done and SBE is so far into their makeover scheme that they aren’t gonna listen to the likes of me. But I’m going to let them know my thoughts and I encourage you to do the same. Even if you feel the opposite, and welcome these changes. More power to ya, sister! May the best scrapper win! Wait, may the best paper-only-scrapbooker or papercrafty-altered-cardmaking-scrapbooker win! I could not find a direct e-mail for Michelle Rubin, so we can go to the BLOG post and leave a comment. Also, thanks for all of your feedback! We are super excited about the refreshed design and want you to know that we are still focused on scrapbook pages and albums. We’re just adding a little more of the “etc.” projects. We have had cards, paper crafting and craft projects in every issue, but now we’re just making sure you don’t miss it! I appreciate her leaving a comment and staying in touch with the readers. I’m not sure how you only add content without taking scrapbook content away, but okay. Either way, I still prefer a straight scrapbooking magazine. I know I should be all charitable and nicey-nice about this. “Let’s give them a chance. Maybe it will be better!” But I just can’t bring myself to do that anymore. I’ve seen scrap mag after scrap mag disappear and it makes me very grumpy. Okay, whining over…. Scrapbooks etc. is America’s leading and only ABC-audited scrapbooking magazine. Beginning with the October 2009 issue, Scrapbooks etc. is published six times per year, in February, April, June, August, October and December. Scrapbooks etc. has an ABC-audited paid circulation of 220,000 and is part of the Better Homes and Gardens family of magazines serving American women with a passion for the home and life they create there. Sock it to me! What are your thoughts. Don’t sugar coat it. You like the new proposal or did you like SBE just the way it was? My final SBE arrived today. The 1-year renewal is 24.99. Ouch! I think I’ll wait to see what the latest and greatest is all about before plunking down my $$. 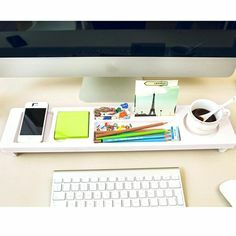 Besides, there’s no room on my desk for a pencil holder. I read about this on 2Peas and then here, and I kind of have mixed feelings about it. I’m not that thrilled about the “Etc” that they’re adding- I’m not really into other paper crafts or general crafts, but I suppose if it didn’t take the place of any of the current scrapping content, it would be okay. For instance, if they wanted to add 15 pages of “Etc,” but make each issue 15 pages longer than it has been before so that the scrapping portion is left intact, I’d be fine with that. I really actually like CK now more than I did before their makeover. I know they had a rough few issues, but the last few have been just amazing, at least to me. Hopefully SBE will go the same way. I am extremely dissappointed with the changes coming to the magazine. 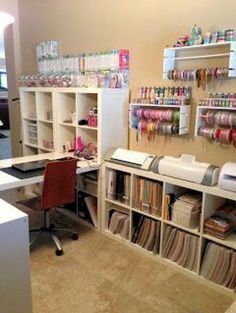 I have never been interested in very many crafts but when scrapbooking became popular, I was instantly hooked. I am constantly goihg to my local pharmacy to see if the latest edition of the magazine has come out. It provides me with inspiration and ideas, how to’s and frankly an excuse to sit down and have some me time. I am absolutely not innterested in ANY other form of crafting. If I was, I would buy a magazine about that craft. I am devastated!! My final issue came today as well….and I won’t be renewing it until I see what all they add. 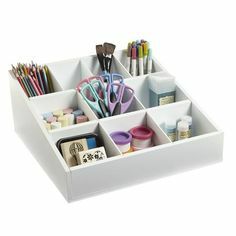 I don’t want pencil holders. I don’t want more altered candles. 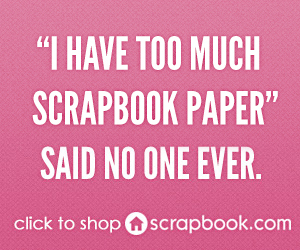 I want to scrapbook….with scissors, paper and glue! this always happens to me, i subscribe to a magazine and the next month something happens to them. I subscribed one month before Simple announced they were stopping and just on Sunday I subscribed to Scrapbooks ETC and now the change everything. Have no idea if i will like the changes cause i have not been a regular reader, only getting a magazine when i was on holidays in countries that sold it, but i am annoyed that they are only publishing 6 issues a year. That’s not many at all :(. This is the reason I read your blog…I had read about some changes in the issue that arrived yesterday but had no idea just what those changes were. Now I know. I’m really disappointed! I don’t want to see any extra attention paid to altering projects or cards in my SCRAPBOOKING magazine. I won’t be renewing or buying it at the store when my sub runs out. I can get so many ideas for free on the internet that I’m sick of these magazines changing everything without getting any advance input from the people who pay for them! Gosh, now I’m grumpy. ;-) Thanks for the headsup on this! very disappointed. 24.99 is steep for 6 issues of useless crap that I have no interest in. Well, yeah, it’s horrible. The percentage of the people that buy that mag is going to go down A LOT. And I don’t say it ’cause I don’t like it, I say it because people that did scrapbooking AND paper crafting are there, but they are not the majority, and people who only like scrapbooking will not be interested, as will only papercrafters. This is a horrible decision for the magazine, but what can I say? I mean, I never liked Scrapbooks, Etc. in the first place. I found their layouts irrealistic ( I mean, who spends 5 hours glooing buttons perfectly down to a page) and messy. Oh, and, by the way, their magazine layout was messy too. I don’t know how they found readers. I had a friend who suscribed and I would just look at the magazine and I wouldn’t understand when they would move from one topic to the next! And the stuff they talked about was extremely uncreative. I was a Simple Gal from the start, and since the close of the magazine, I have been faithful to Creating Keepsakes. However, I am not biased when I say that Scrapbooks Etc. is desperate for money in these times of crisis and looking for any measure they can take. Well, this is NOT the answer. After all who wants to create more cards when you can create memories? And who wants to fill their house with hand-made, but, let’s face it, very un-modern stuff? Papercrafting may be popular, but it was never what brought Scrapbooks Etc. to fame. I am with you on this one. I got my October issue of SBE and didn’t like all the ETC included in it. I get that magazine to look at the scrapbook layouts in it. I don’t think I will be renewing.